Simple to make, usually better than the stuff you buy at the grocery store. 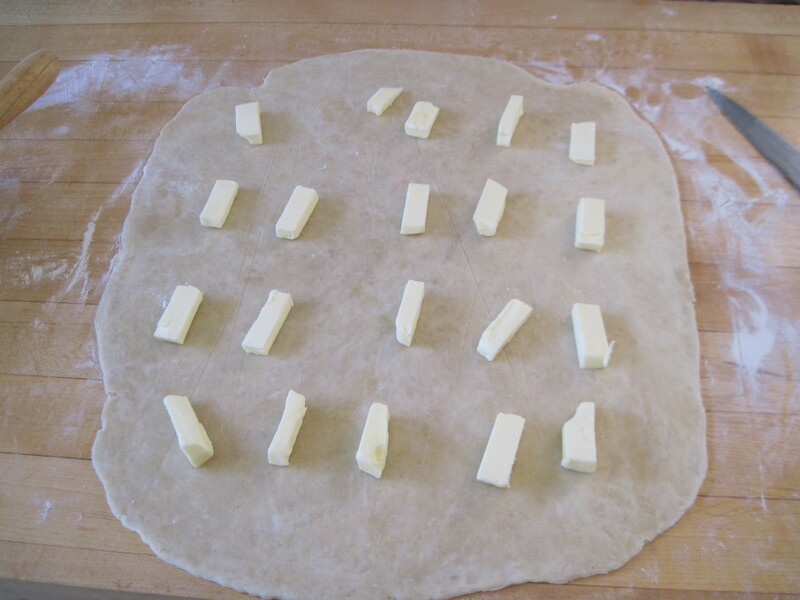 You need at minimum two hours ( at least 4 cycles of rolling the butter into the pastry, and chilling it in the refrigerator) before you can use the dough. Quantities below will give you more than 0,5 kg of pastry, and you can shape it according to the specific recipe – i definitely prefer it to the store bough two sheet frozen combination. 150 ml chilled water (approx). Cut in the first 60g of butter with sharp knife or rub them loosely with your fingers it with your hands until the mixture resembles crumbs. Butter chunks will remain visible. Add 100 ml chilled water. 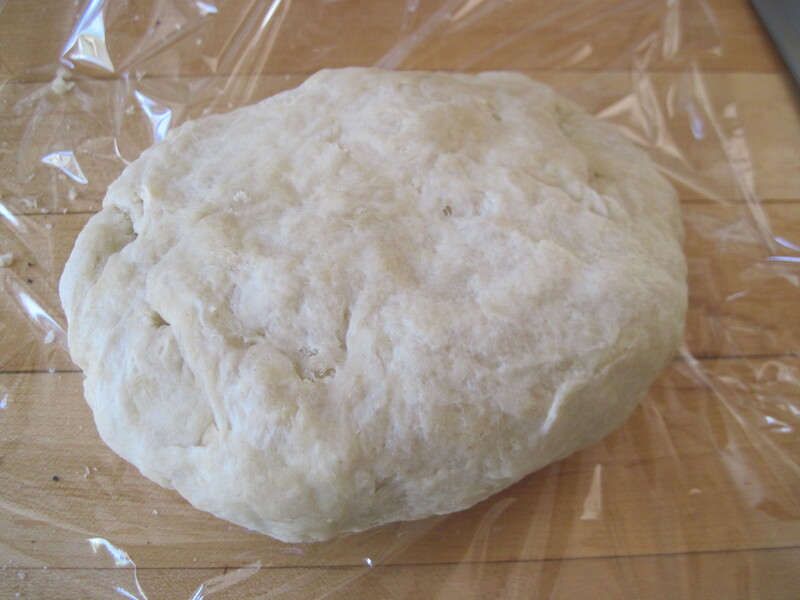 You need to mix in enough water to make a smooth, non-sticky dough. Butter chunks will remain visible. Knead gently, then cover with the foil and leave for 20 minutes or more. 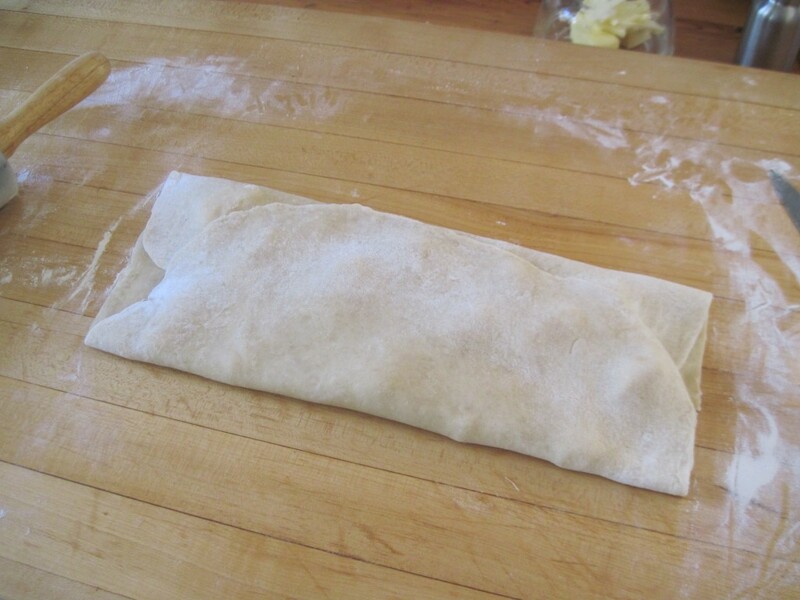 Allow the dough to reach room temperature before rolling it again. Cover with the foil and refrigerate for 20 minutes or more. More is better, less is wrong. Repeat steps 6-9 twice more, until the butter is gone. Leave for at least 20 minutes’ chilling before use. Each time, before you roll, take it out of the fridge early, allow it to re-gain room temperature. 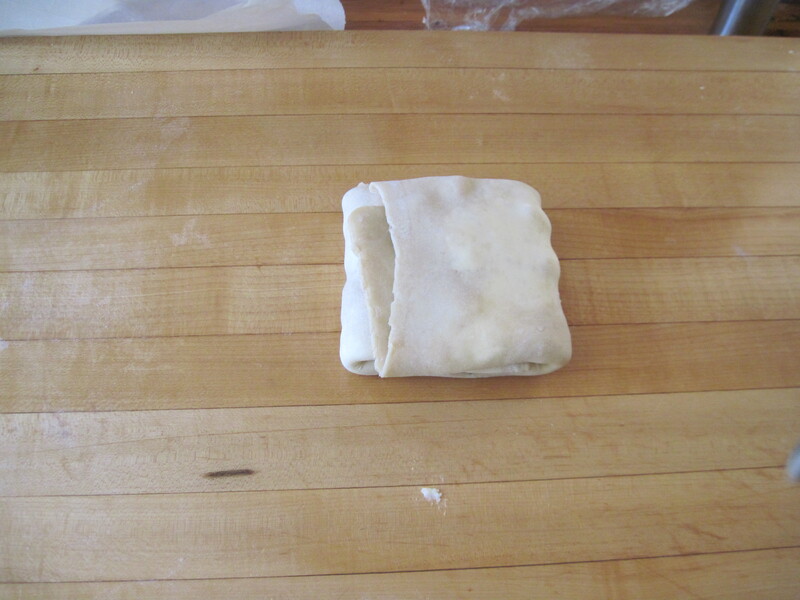 After the last term in the fridge take the pastry out, let it rest while you prepare the filling, or cut into manageable pieces, wrap tightly and freeze for use later. This entry was posted in Generic Crust Dough, pie and tart shells / Spody do tart i tortów, ciasta podstawowe and tagged ciasto francuskie, mille-feuille, puff pastry. Bookmark the permalink.